The High Holy Days are upon us! Hope for Israel is blessing hundreds of families in need and lone soldiers (soldiers serving in the IDF who are far away from their family support network) with grocery vouchers so that they can celebrate without stress. The Lord commanded Israel to observe His feasts. The Fall Feasts (High Holy Days) are incredibly special holidays for the Jewish people, especially in Israel. These include the Feast of Trumpets (Rosh Hashanah), Yom Kippur (Day of Atonement), & the Feast of Tabernacles (Succot). We want to help the people of Israel to obediently observe the Lord’s appointed times, especially as we understand the prophetic significance of them! But these holidays can be stressful for families and individuals who are struggling financially. This is where YOU come in! PRAY – Pray for an abundant outpouring of His Spirit during this special season! Please also pray for everyone observing the Lord’s Feasts, that s/he would have a place to do so, and with a caring community. Please also pray that this project will go forth with His blessing so that many will see Messiah glorified. DO – Your financial gift will expand our reach further! Any gift of any size is appreciated and will be a big blessing to all. SHARE – Share about this project with your family, friends, and community! The more we let others know, the greater our impact can be. We are so grateful for your partnership with Hope for Israel. Together, we can be a great source of practical blessing to the people of Israel! 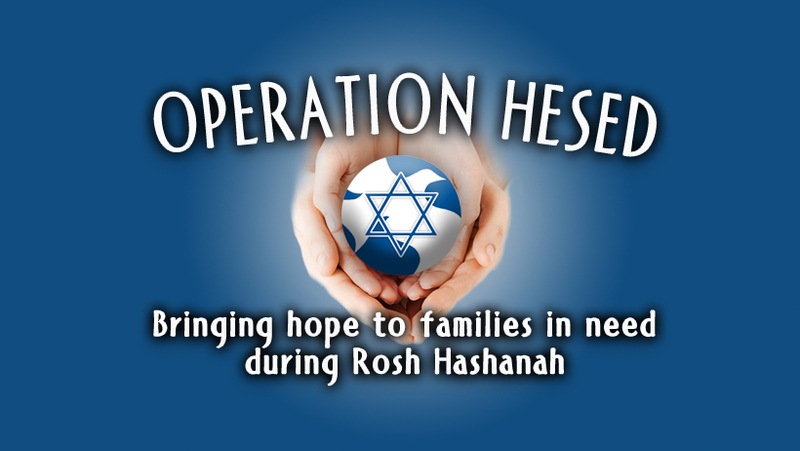 We thank you with all our hearts that you chose to bless our family during the Rosh Hashanah holiday! Your gift came at a critical time for our family and showed us once again the faithfulness of the Lord. May God continue to bless your service to Him in abundance. Blessing others in His name is an important part of our work in Israel. Whether it’s strengthening the Body of Messiah, or bringing His light to those who do not yet believe, a vital part of the work of Hope for Israel in Israel is glorifying the One who makes it all possible! Thank you for entrusting your love offering to Hope for Israel as we continue to shine His light in Israel, and build His Kingdom.